Français Plus est de retour ! 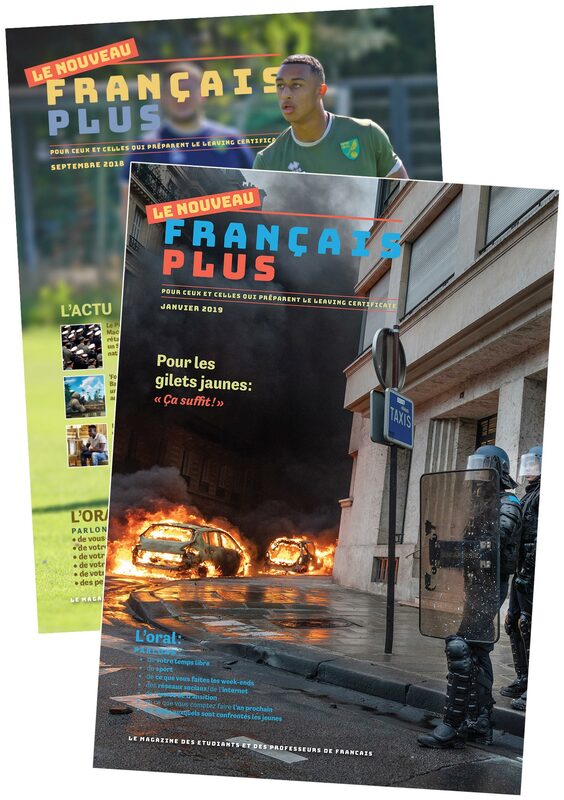 We are delighted to announce that Français Plus is back in print. Some of you may remember the original Français Plus magazine that we published. Well, we are now back in print with a new version of our magazine for students of Leaving Cert French. This time, our magazine comes in two 72-page instalments in the school year, published in September and January, respectively. Orders are accompanied by a comprehensive set of solutions for teachers. The Solutions will certainly free up valuable time for you, if you’re a teacher. Of course, it is up to you how to use the Solutions: either as is, or alternatively you may want to tailor them to suit your own students’ needs. Phone us on 089‑232 48 48 to place an order for your students. Language-learning resources for students and teachers.